Dog bites are common with nearly five million reported in the United States each year. Most do not cause serious injury, but the ones that do can be costly to the dog’s owner. 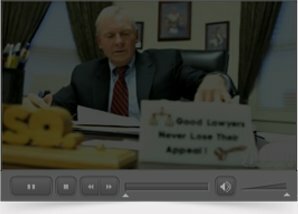 The New Jersey dog bite statute affords victims a great deal of leverage when bringing a lawsuit against a dog owner. New Jersey is a strict liability state with regard to dog bites. What this means is that the owner of a dog that bites you can be held liable for your damages as long as certain conditions are met. Among those conditions is the requirement that you were either conducting a lawful activity or were legally on property where you received the bite. The dog owner is liable for the damages caused to you regardless of whether the dog is known to be vicious, or was found to be vicious in the past. The law is inapplicable if you were trespassing with criminal intent. If you are shown to have caused the attack by your actions such as tormenting the dog or abusing it, the amount of your recovery can be lessened. You only have a limited amount of time to file your claim, so do not hesitate to reach out and speak to an experienced New Jersey personal injury lawyer today if you or a loved one suffered an injury from a dog bite.